More than 120 years ago, in 1888, a man named George Eastman founded a small company – Eastman Kodak Company, selling cheap cameras and consumables for them. ‘You press the button, we do the rest’ was the motto of the business, which the main strategy was selling cameras cheap and making good margins on films and other photo equipment and materials. Mr. Eastman wanted to make photography more accessible to a broader circle of people. He wanted to make it more simple and entertaining. He wanted to change the world, one of the most common desire among great entrepreneurs. 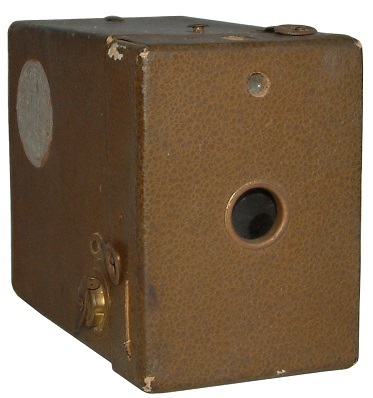 No matter what the first cameras produced were nothing more than a wooden box with a whole and a lens. Their prices started at $1, but despite all of these, the young George managed to achieve his goals and took his deserved place in the business history of our world. Eastman Kodak got involved in business when he was only 14 years old. He dropped out of high school and began working as a do-all boy in an insurance company because his family needed the money. He was a hard-working guy, enthusiastic and very motivated. When he reached his mid-twenties, he already had become a successful entrepreneur. But this didn’t happen easily… Eastman went through many obstacles. His first wage was around $12 per month, which was anything but a sufficient amount for normal living. Determined to get better paid, Eastman began studying accounting during the evenings after work. 5 years passed after the young boy managed to get a position in a local bank. This is how his salary jumped to around $60 per month or several times more than before. When Eastman was 24, he had plans to go on a trip to Santo Domingo. He wanted to shoot his vacation and he bought a camera to do this. The device was as big as a microwave oven and the equipment needed for it ‘was a pack-horse load’ as he called it. He didn’t go on a vacation, but he got totally obsessed by photography. This was the actual birth of the ‘Kodak’ idea. Taking a simple picture with that camera was really a difficult procedure. He thought that he could simplify it and began exploring the ways to do this. He was experimenting with different things in his mom’s kitchen, during the evenings after work. He was totally dedicated to his passion, the experiments continued for 3 years. In 1880 he had developed a technology for making dry photographic plates and patented a machine producing them. That was a huge breakout and he knew, that the plates had huge sales potential. Later the same year, Eastman hired a floor of a building to begin the mass production of the plates. Things didn’t go well initially, the plates were not that durable and went bad while distributed by dealers. The company almost went bankrupt at some point in time, but the young entrepreneur didn’t give up. He had big ambitions, his idea was to make cameras as broadly used as pencils. He spent his last dollar improving the technology and finally achieved a success. Instead of using glass for the plates, he substituted it with paper rolled on a holder. This way Eastman put a brand new beginning of the photographic industry. He thought that his innovative technology would spread like a plague, but this didn’t happen. Then he decided to spread the news and reach the broader public. The first ads were published in local newspapers, but later the campaign was expanded. The brand ‘Kodak’ was reserved in 1888 and since then it has become the only trademark of the company. Today everyone has heard about Kodak. Eastman has made it, now anyone only needs to press a button to make a picture. George Eastman is a bright example of entrepreneurial spirit. He was a hard-working guy, chasing his dreams. He didn’t work for the money. Money has never been the main purpose of successful entrepreneurs. He donated big parts of his income during his entire career. He began with his philanthropic activities when his salary was only $60 per week, donating $50 monthly to a local institute. During the years he donated millions to education, medicine, and some other causes. Also, feel free (please) and share this story to give a thumb up for our work. We created cool social buttons, which are awaiting your mouse pointer.